Clothing, namely, bandannas, beach cover-ups, belts, body suits, boxer shorts, caps, cloth bibs, coats, dresses, ear muffs, footwear, namely shoes, boots, sandals and slippers, gloves, hats, headbands, hosiery, housecoats, jackets, jerseys, leggings, leotards, mittens, nightshirts, pajamas, pants, raincoats, scarves, shirts, shorts, skirts, socks, suits, sun visors, suspenders, sweaters, sweatpants, sweatshirts, swimsuits, swim trunks, t-shirts, ties, toques, underwear, vests, warm-up suits and wristbands. Entertainment services, in the nature of professional ice hockey exhibitions. 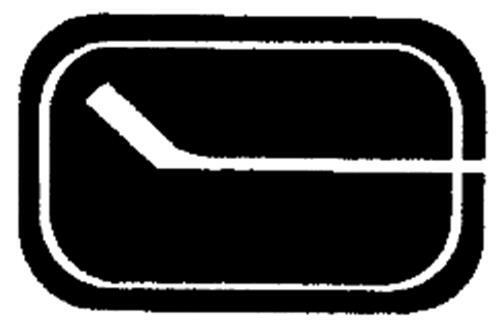 On Monday, August 11, 2003, a canadian trademark registration was filed for the above pictured logo by Vancouver Canucks Limited Part 800 Griffiths Way, Vancouver, BRITISH COLUMBIA, CANADA V6B6G1. The Canadian IP office has given the trademark application number of 1186105. The current status of this trademark filing is Registration published. The correspondent listed for is BERESKIN & PARR LLP/S.E.N.C.R. of SCOTIA PLAZA, 40 KING STREET WEST, 40th FLOOR, ONTARIO, CANADA M5H3Y2 The trademark is filed in the description of Clothing, namely, bandannas, beach cover-ups, belts, body suits, boxer shorts, caps, cloth bibs, coats, dresses, ear muffs, footwear, namely shoes, boots, sandals and slippers, gloves, hats, headbands, hosiery, housecoats, jackets, jerseys, leggings, leotards, mittens, nightshirts, pajamas, pants, raincoats, scarves, shirts, shorts, skirts, socks, suits, sun visors, suspenders, sweaters, sweatpants, sweatshirts, swimsuits, swim trunks, t-shirts, ties, toques, underwear, vests, warm-up suits and wristbands. , Entertainment services, in the nature of professional ice hockey exhibitions. .
(1) - Clothing, namely, bandannas, beach cover-ups, belts, body suits, boxer shorts, caps, cloth bibs, coats, dresses, ear muffs, footwear, namely shoes, boots, sandals and slippers, gloves, hats, headbands, hosiery, housecoats, jackets, jerseys, leggings, leotards, mittens, nightshirts, pajamas, pants, raincoats, scarves, shirts, shorts, skirts, socks, suits, sun visors, suspenders, sweaters, sweatpants, sweatshirts, swimsuits, swim trunks, t-shirts, ties, toques, underwear, vests, warm-up suits and wristbands. (2) - Entertainment services, in the nature of professional ice hockey exhibitions.